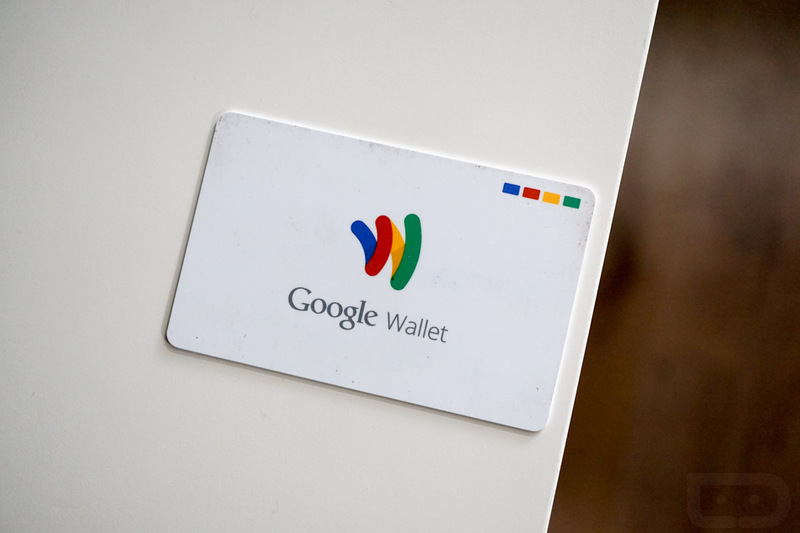 Monday’s report of the Google Wallet Card reaching end-of-life status is now confirmed. 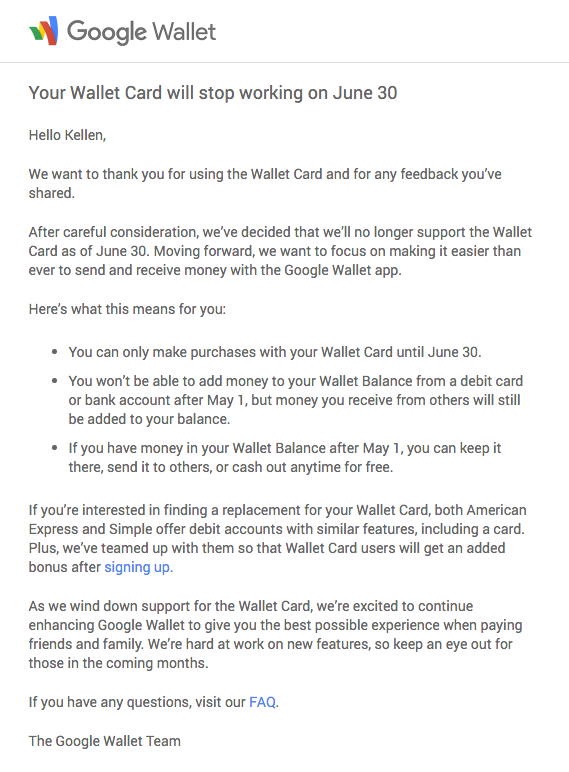 Moments ago, Google sent out emails to Google Wallet Card owners, notifying them of the June 30 stoppage, which will result in their physical Wallet Card no longer working. Google notes that the Google Wallet Card will work up until June 30, but that users won’t be able to load any new money on it after May 1. If another user sends you money after May 1, you’ll still see that cash, though. If you loved your Google Wallet Card and need a new option, Google has teamed up with American Express Serve and Simple to offer customers who switch a special bonus. Wallet Card owners who switch to Serve will get a $20 gift after a third direct deposit of $500 or more. Simple seems to just be handing you $20 for signing up. More info on the bonuses can be found here.